There exists a glaring risk in organizations today, and organizations have the technology to mitigate it. But, new research suggests that many companies are ignoring the opportunity to do anything. A new study from AP Now found that despite the fact most organizations currently have the functionality to do so electronically, more than half of companies still make at least 75% of their business-to-business (B2B) payments by check—and less than half look to reduce amount of payments by paper check. With 83% of the same respondents using automated clearing house (ACH) payments to varying degrees, and 79% issuing commercial or purchasing cards to employees for goods or services, organizations are equipped to handle payments in a more efficient manner, but are failing to do so. You Have Less Control: For businesses toiling away on paper-based invoices and sending out paper checks, the approval process becomes convoluted. Employees in the approval chain can’t review or sign-off on payments when they’re not physically in the office—or when the papers they need are hidden under stacks of mail. 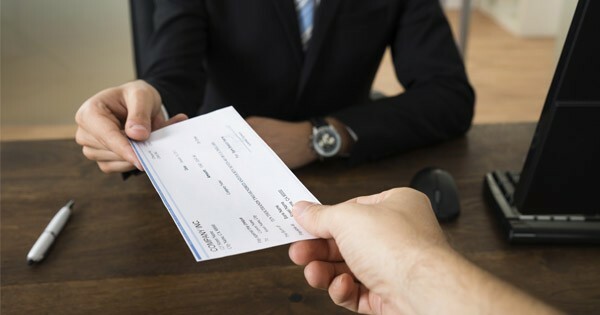 It Leaves Your Organization at More Fraud Risk: Even as organizations continue to use checks, they recognize the risk—as a recent APP2P study found that AP Departments recognize checks as the riskiest payments process. Additionally, a compliance department investing in analytics identified over $30M in duplicate checks and payments, unsubstantiated payments to contractors and employees being paid simultaneously by both the company and third-party, and internal control deficiencies across the company’s legacy ERP system. See more in Unlock a Treasure Trove of Insights in AP Data. Exceptions: Exceptions are a problem throughout the entire payment process, and something is bound to go wrong when an employee is tasked with manually inputting data. With the average invoice workflow process taking 11.4 days, an exception adds even more time to the process. Every invoice that causes an exception represents time that the AP team could have spent on a task of more strategic value to the wider organization. It’s Not Cost Effective: How long does it take to print the check, verify the payment amount, get the check signed, address the envelope, stuff the envelope, stamp the envelope, and wait for the check to be delivered? How many of these points could result in something going wrong? Writing checks to suppliers is not only time consuming and inaccurate, it’s wasteful in terms of cost, as the average cost of writing a business check ranges from $4 to $20. See more in 8 touches you avoid by switching to e-payments. You’re Missing Opportunities to Capture Discounts: The ability to capture an early payment discount could mean thousands, if not millions in savings each year. Lost documents, exceptions, an extended approval process, and more all are common concerns that come from a check-based purchasing and payment process; standing between an organization and its timely payment discount. See more in 5 Things You Didn’t Know about Virtual Payments. You Lose Visibility: Business leaders are finding that insights into a company’s spend are extremely valuable, but checks stand in the way of this visibility. Further, with visibility comes control, allowing your organization to make smarter decisions with its suppliers, its payments, and its purchasing process. Learn more about gaining visibility in a recent WEX Blog, Procure to Pay E-Payments Strategies. It’s Not ‘Green’ (You’re Wasting Paper): Not even focusing on the cost of checks, postage, envelopes, printed invoices, and more, the idea of sustainability has long been a focus for organizations. Cutting out paper (and the emissions generated transporting said paper) is not only cost effective, it’s an opportunity to gain some positive PR for helping the environment. See more in Going Green with Your Payables. Organizations have the technology. Why don’t they have the motivation? The organizations who have already made strides to reduce check-based processes are the ones most aggressively pursuing opportunities to further reduce their dependence on paper checks, according to the study. They’ve learned the benefits, and crave the opportunity to improve on their already-excellent payment processes, driving savings, protection from fraud, and much more to new levels. While supplier concerns do exist, there are ways to overcome them, as highlighted in a recent WEX Blog. Follow @WEXIncNews on Twitter to keep up with all the latest in payments technology.